If asked which room is the heart of my home, I would say my kitchen because it is here that I spend most of my time trying new recipes making dishes for my family and cleaning stuff. An array of authentically crafted faucets and fixtures add charm to the kitchen. If you want to make your kitchen space look graceful, buy faucets and fixtures from Rohl. Rohl is a well-known faucets brand. Founded in the year 1983 by Ken Rohl as the Western States Manufacturing Inc, this family-owned business was reorganized as Rohl LLC in 1991. Rohl adds a dash of efficiency, elegance and innovation in their products to give an elegant and charming look to your kitchen. Rohl kitchen collections can be seen in fine kitchen and bath showrooms nationwide. These retail outlets provide a space for the customers to experience their products. Their well trained consultants help to guide your selection of the most appropriate faucets and fixtures. 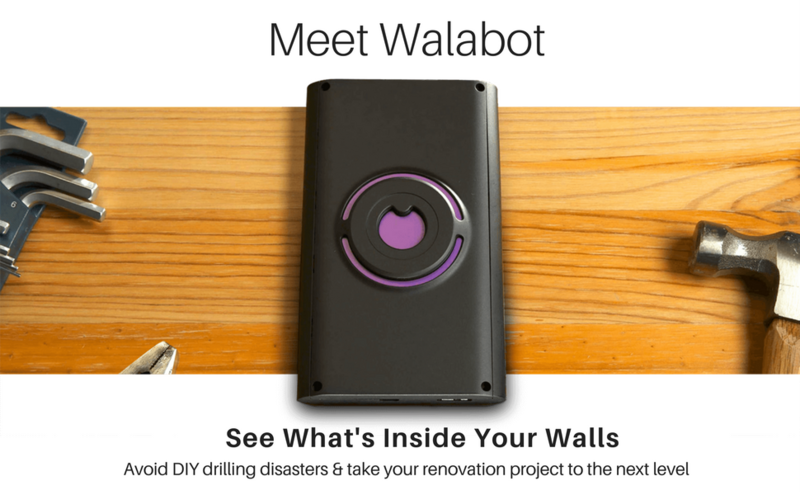 Use Walabot DIY that comes wall scanner to see through cement, dry wall and wood up to 4 inches. This makes it absolutely suitable for DIY-ers who want to indulge in home projects. Read on to know more. Rohl has a long history of importing good quality European faucets, kitchen sinks, sanitary wares and bathroom/kitchen accessories. Rohl was the first to introduce European pull-out/pull-down faucets to the US market. The company is not just a faucet manufacturer, instead, they sell faucets and accessories to give a graceful look to your kitchen and bathroom. Rohl as a business enterprise follows multiple business models. Rohl has an exclusive collection of some very stylish, high-quality, imported faucets in the United States. Rohl imports high quality designer faucets which are sold in other countries under other model names. Why buy faucets of Rohl? Rohl faucets have been tested by IAPMO-RT and certified to exceed every requirements specified in the Joint Canadian/U.S Comprehensive Standard for faucet reliability and safety. All faucets of Rohl are legally installed in water systems in all states and provinces of North America that adapts to any of the 3-model plumbing codes – the Uniform Plumbing code, the International Pluumbing code or the National Plumbing code of Canada. Rohl faucets are lead-free. They have been tested and certified to comply with the U.S / Canadian lead-free standards. Rohl promotes sales only through authorized outlets. The company does not provide support for orders placed from any unauthorized retailers, including internet sellers of lower cost European faucets. Developed in the year 1983, Rohl pull-out faucets feature anti-scalding technology that prevents the hot water side from being fully opened avoiding serious burns. Rohl pull-out faucets are made of thick brass and ceramic disc valve technology. For consistency in design, every Pull-out faucet is available for matching bar faucet, except for A3410-2. Available handles of Rohl pull-out faucets include De Lux metal lever, LM Country and classic metal lever, LM traditional metal lever, modern lux metal lever, De Lux metal loop handler and traditional porcelain lever. The Rohl kitchen collection of faucets provides an impeccable style, a collection you will be appreciated for its rich and exquisite detailing. The Rohl Country kitchen collection of faucets come in functional designs with a wide range of styles and finishes. Experience the elegance of European artisans with Rohl Country kitchen faucets. Handles are available in LM metal lever, LP porcelain lever, X five spoke handle and XM cross handle. These faucet models come in polished nickel, polished chrome and tuscan brass. The Perrin and Rowe kitchen collection of faucets stand unique in the industry due to its classic and ornate English style. The Perrin and Rowe kitchen faucet collection complements both traditional and contemporary settings with exquisite style and unmatched performance. The modern kitchen collection from Rohl features sleek and sophisticated expressions of European –inspired modern design. The Rofl kitchen modern collection stands apart by its clean, crisp lines and tall curved spouts. The handsome levers are generously proportioned and are as artistic as they are functional. Michael Berman – a wellknown designer designed kitchen collections exclusively for Rohl. This design emphasizes on European style and celebrates a glamorous age in American culture. Michael Berman faucets are available in polished chrome and satin nickel finish. Rohl received mixed reviews from their customers. Some say that the product came with defects and had to be replace, whereas others were satisfied with the lifetime warranty and great customer service that Rohl offered. In 2007 and 2008, Rohl had issues with ceramic cartridges in its R3810 De Lux pull-out kitchen faucets, manufactured by Green Industries of New Zealand. The plastic used in some of the cartridges cracked and resulted in leakage. This was clearly a manufacturing quality issue which was solved later on. If you are looking for buying Rohl faucets, make sure it is not made by Greens. From where to buy Rohl kitchen faucets? Does Rohl faucet come in bronze finish? Rohl faucet finishes vary depending on the actual manufacturer, but almost every faucet of Rohl is available in polished chrome, bronze and nickel. Does Rohl charge for replacement parts? Rohl provides replacement parts free of cost to replace those products which are proven to be defective. Are there any online Rohl kitchen faucet reviews? Yes, amazon provides customer reviews for Rohl kitchen faucets. Does Rohl kitchen faucet provide warranty for all their products? Rohl products carry warranties against manufacturing defects. For replacing a defective product, Rohl does not charge any amount. But Rohl does not provide any warranty on Tuscan brass finish, unlacquered brass, or on special finishes. Had anyone faced any problems with Rohl kitchen faucets? As mentioned above, the plastic used in some of the cartridges cracked and resulted in leakage. This was clearly a manufacturing quality issue which was later on solved. Where can I find the best kitchen sink fixtures?